It’s been about a month now since we opened our doors to the public, and I’m honestly amazed at the reception in the marketplace for our auction-style home selling process. What’s even more incredible is that I’ve spoken to several agents in town who want to refer their sellers to us; sellers that have had difficulty getting their properties sold “the regular way” and are willing to try something different – anything – to sell their homes. On the flip side, I’ve had a few agents call and question why we’re doing this. They’re old dogs and they don’t care for new tricks. They may feel a little threatened. They’re not just for foreclosures or distressed sellers. It’s easy to understand why folks think that way. If you’ve been paying attention to real estate auctions during the housing crisis your mind thinks: real estate + auction = foreclosure. But auctions have been around a lot longer than housing was in the toilet. In fact, many sellers of luxury homes selling for tens of millions use an auction to sell their properties. Because auctions focus the attention of every potential buyer on the property and then set the terms under which the sale will take place. In the luxury market where a property could sit on the market for years waiting for a buyer, auctions can compress the timeline down to a manageable 30 days. Additionally, auctions in other industries are used to attract record-setting sales. 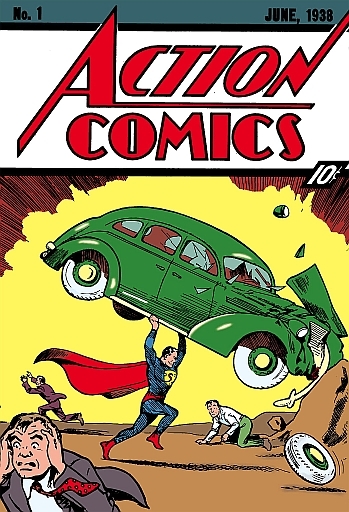 Action Comics #1 selling for more than $2 million doesn’t happen in a local comic book store. A 1967 Ferrari 275 GTB selling for $27.5 million doesn’t happen on a used car lot. Those sales happen because every possible buyer knows when those items will be sold and the terms of the sale. And by the way…those sales all happen for cash. If you’ve got the best home in the neighborhood, the same principles can work for you. And if you have a home that’s dated or needs some work, an auction-style process can get you the true market value in the shortest amount of time. We’ve taken the best parts of the auction and combined it with the best practices of Realtors to give everyday sellers a truly game-changing home selling experience. To learn more, send us a note or speak with one of our Seller Experts today.